We see hundreds of people each year where anger has played a destructive role. For many of our clients, anger has led them to do things that has damaged their relationships with others and left them feeling awful. Despite the negative experiences that many people have with anger, we believe that anger can also be constructive and lead to insight. We recognize that it takes a lot of courage to make that first phone call and to walk into the room to seek help. We know that those who bring motivation — put in the effort — and commit to creating change, experience life-changing results. We have seen it thousands of times. We are grateful for the opportunity to witness such change and to hear the impact not just on our clients, but also on those they care most about. We encourage you to take charge of what you do with your anger — call, text, or email us today because the time to do something about this is now. We have six counsellors on staff, and work weekends, so we can usually see you individually, within a week, or less. Men and women attend our programs because they have realized that their reaction to anger is costing them in their personal and/or professional relationships. After an angry outburst they, and often the people around them, are left feeling confused, embarrassed, frightened, and sometimes even hurt, emotionally and/or physically. Those who attend our courses tend to be those who care so much about those around them that they are willing to take this step. 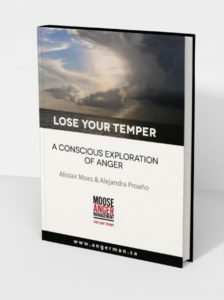 At Moose Anger Management, founded by Alistair Moes (pronounced ‘moose’), anger is not seen as inherently bad. 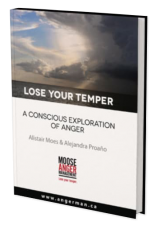 Alistair and his partner Alejandra Proaño have found that anger is far more complex than most people imagine and, in fact, can often lead toward constructive behaviour. Click to read more about what we do. You can contact us at any time if you have questions about our work or any of our programs.  Also, follow us on Twitter. Group counselling provides a supportive environment where people are treated with respect and dignity, along with the opportunity to transform anger into maturity and growth. Participants will expand their understanding of themselves and deepen their ability to work with the challenges they face. We have a team of counsellors who offer couple, family, and individual counselling for both adult men and women, and teenagers. The individual sessions are flexible and can be more responsive to your specific situation, making time for you to explore your needs, face your challenges, make the most of your resources, and learn new ways of relating to anger, to yourself and to the people in your life. Our groups offer you the chance of learning alongside others who, like you, care enough to change what they do with their anger. The group also provides a very supportive environment where people are treated with respect and understanding that facilitates the transformation of anger into something constructive. In this video, Alistair Moes, Founder of Moose Anger Management, talks about how anger resides in the body, and how to express it with dignity, in a healthy manner. We must relate to our anger, rather than from it. Recorded in November 2019.